Today we roll our old Fords towards “Winner” so named because it won out in the struggle to establish a town along the railroad right-of-way for the Chicago North Western. This day we’re we’re traveling approximately 260 miles. It was a beautiful drive. The rolling hills seem to go forever, with acres of Sun Flowers, Corn and Milo. We even saw another large herd of Buffalo not far out of Hot Springs. 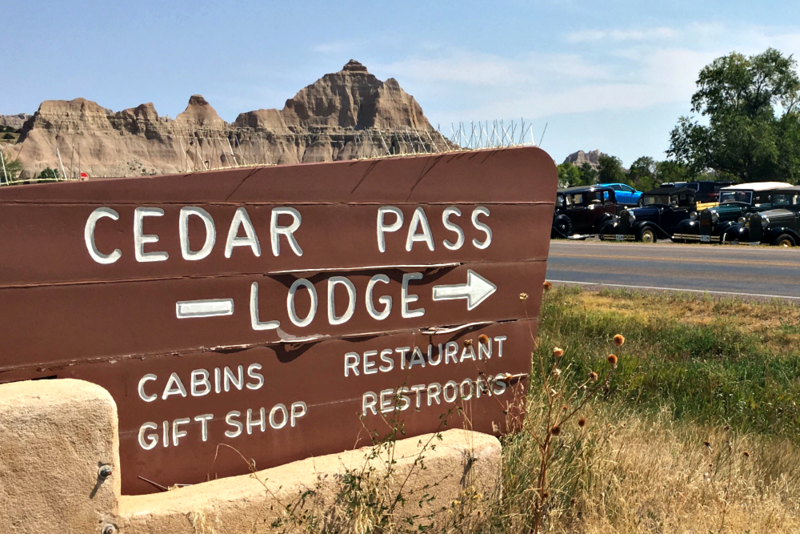 Our highlight was the Cedar Pass Lodge (Restaurant) and the original Indian Fry Bread Tacos with Buffalo meat. They were fabulous and certainly lived up to the billing they were given. 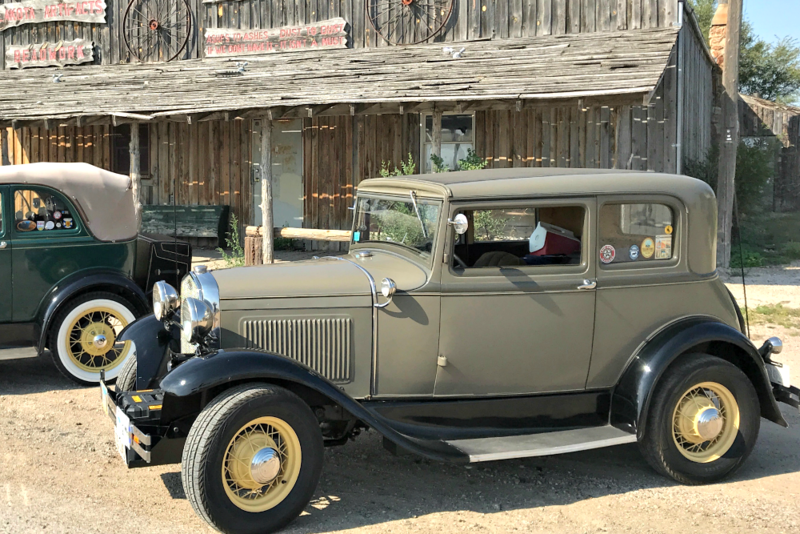 Model A’s parked in front of rustic store. Model A’s and rustic building close-up. Photo by Snuttjer. Cedar Pass Lodge sign with Model A’s resting in parking lot. 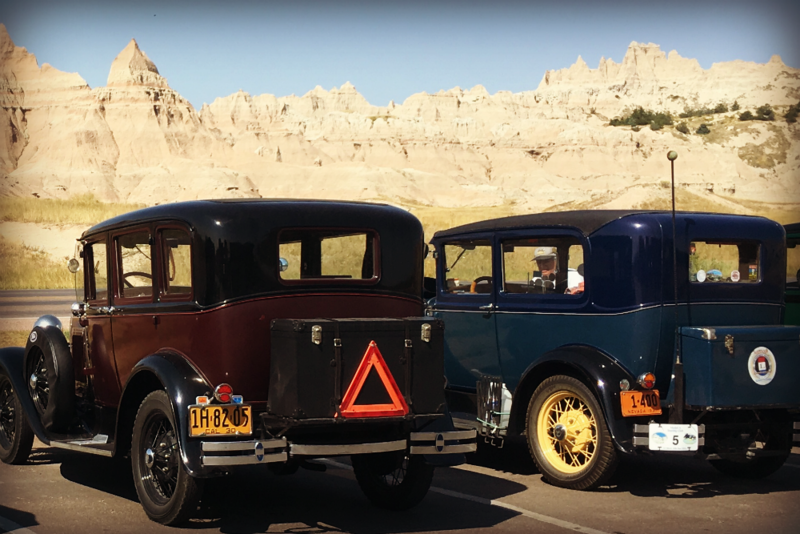 Close-up of Model A’s Parked at the Cedar Pass lodge. Photo by Hulstrom. A closer look at Model A’s in parking lot. 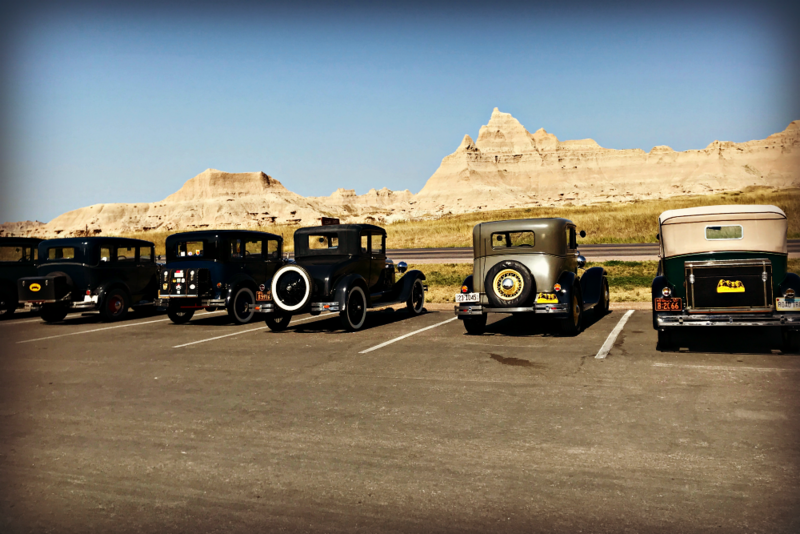 A look a Cedar Pass and 3 Model A’s neatly parked. 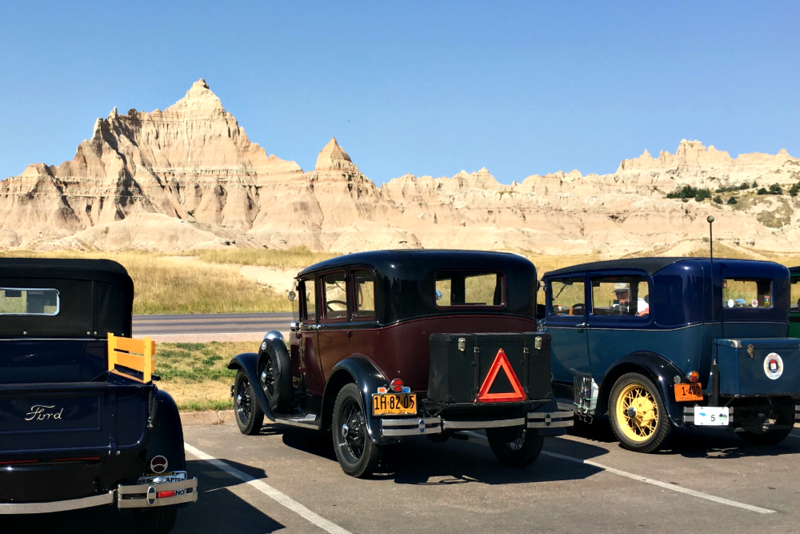 Line of Model A s overlook Cedar Pass peaks. Photo by Snuttjer. 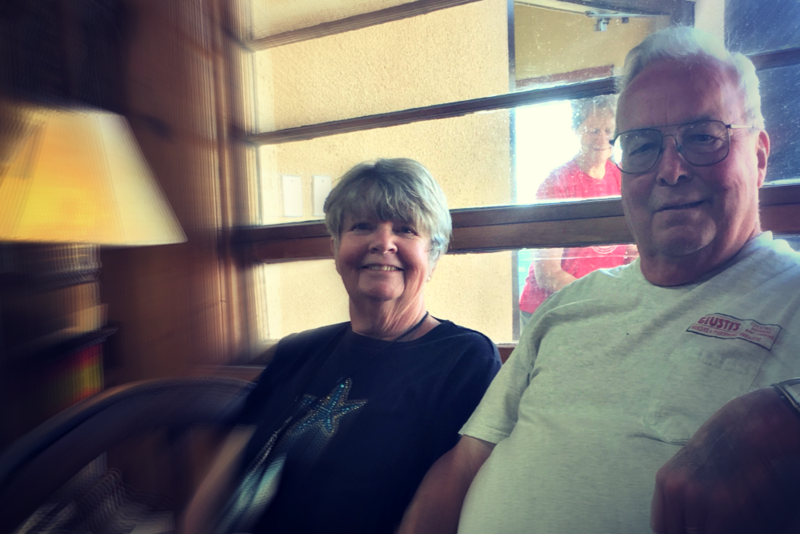 Janie and Bill Laughlin smile from wagon wheel couch.